Lots of workers across the UK managed to re-charge their batteries over the summer months by going on holiday and spending time with their loved ones. We hope you managed to get away and enjoy a well-deserved break too. If we’re completely honest, it wasn’t a massive surprise to us, as many of the small business owners we first encounter, struggle to maintain healthy cashflow because of their own clients failing to pay invoices on time. In our experience, the summer months can exasperate the situation too – with more people away from their desks and resources becoming stretched. With payments now being delayed by an average of 15 days** in the UK, it’s one of the biggest headaches business owners have to endure. It’s very well-documented that late payments can stifle and extinguish small businesses. In our line of work, we see first-hand the devastating impact that invoice disputes and late payments can have. It not only affects the balance sheet – but chasing payment is time-sapping and soul destroying too. Just for one minute, put yourselves in the shoes of a small business owner who is owed payment. Most of them can’t afford to employ big finance departments to do the chasing – so inevitably it can often be the founder/owner doing it all, which is entirely unproductive to say the least. In some cases, it impinges on their ability to pay bills – including paying their own staff and suppliers on time – creating a vicious circle. Ultimately, it can then lead to the use of overdrafts and increased borrowing. But the good news is that here at Footprints Accountancy, we genuinely believe there’s enough momentum within business and financial circles to champion a change. And secondly, we believe there’s so much more SMEs can be doing to protect themselves – and of course we can help with that. It’s such a prominent issue that last winter, the Government took steps to address it by announcing the introduction of a Small Business Commissioner (SBC), and Paul Uppal was assigned the role. Essentially, his job is to stamp out the late payment culture – especially amongst large organisations. The SBC office have some interesting and useful resources on handling late payers and making sure business owners are helping themselves. 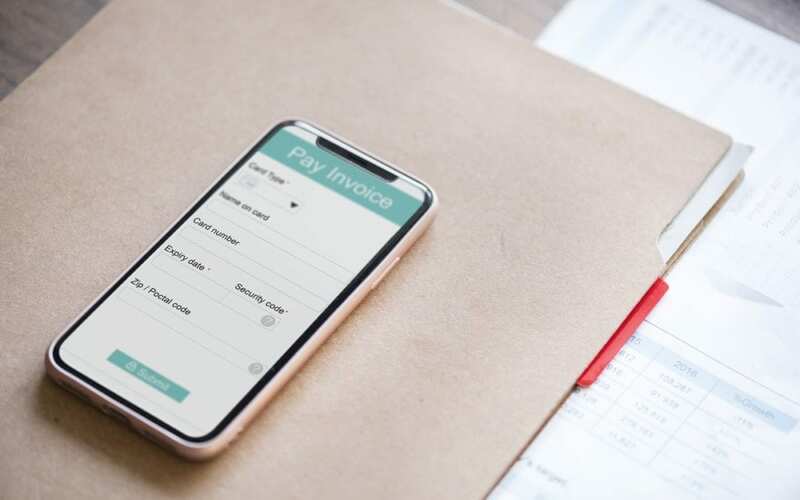 They’ve launched the ‘Check, Chase and Choose’ approach***, which encourages businesses to check their own invoice creation, eliminating payment failure reasons, including incorrect account details. It also advises businesses to chase the payer. It sounds silly, but some business owners find it uncomfortable to ask for the money they’re owed and shy away from it completely. Finally, the SBC recommends SMEs choose to do something positive about an unpaid debt, like getting professional advice or raising a complaint. When SMEs are dealing with clients who haven’t settled an invoice on time – in our experience – there are common themes at the heart of the dispute. Here are two examples, along with our tips to help you overcome them. A numbers game – this is where a client challenges the amount on an invoice, resulting in a delay. Good communication can often nip this issue in the bud. If you’ve sent an estimate beforehand, and you’ve been upfront and honest about any movement on the original estimate, plus you’ve got a paper trail – then all these steps should stop this from happening. amount into your business account because of system errors. Getting into the habit of contacting a client after you’ve sent an invoice to confirm they’ve received it, is good business practice and gets you more and more comfortable talking about the money you’re owed. Equally, if they have received the invoice, but they’re still late paying it – discussing the issue head on with a client, will allow you to uncover any problems, like system errors. All of this helps to build good relationships with both the client, or their account team. Some bookkeeping software, such as QuickBooks Online, will show that the invoice has been received and viewed. With both of the examples above, make sure you’re super diligent when it comes to what you put on your invoice. Mistakes on your part, will result in waiting longer for the money you’re owed. To make it simple for you to invoice your clients, and for them to easily pay you – good accounting software is hugely beneficial, especially for small businesses. And what’s more, with Making Tax Digital on the horizon, it’ll be essential for many companies anyhow. It can offer you the ability to take control of your finances and automate tasks like issuing invoices, sending reminders and accepting payments. accountancy software. We use it to run our own practice and we’ve seen how it’s transformed the lives of our business clients too. Here’s what both new and existing users have to say about our QuickBooks Online training course. From marketing agencies and travel companies, to manufacturers and laundry companies – we’ve a wealth of experience helping all sorts of businesses overcome payment difficulties, to improve their cashflow and ultimately thrive. We offer practical business and financial advice and solutions – and can train you up to become masters of your own accountancy with QuickBooks. The late payment culture is sadly rife in the small business world, but we envisage change is on the horizon, and we certainly champion that. In the meantime, there are lots of things that SMEs can do to protect themselves – including investing in good quality accountancy software. And of course, we can certainly help here at Footprints Accountancy – after all, we’re a small business too.